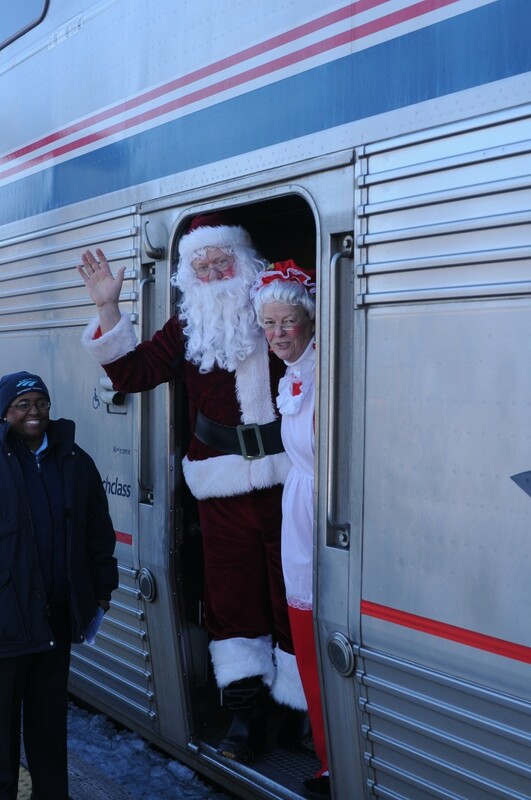 The President and Vice-President of the American Passenger Rail Heritage Foundation (APRHF) and the Coordinators of the Trails & Rails program on the Southwest Chief invite you to spend an evening with Santa and Mrs. Claus. 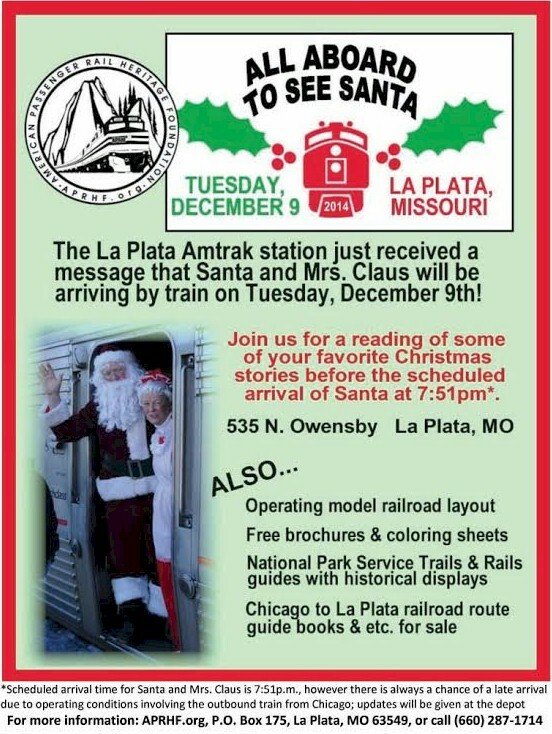 The La Plata, Missouri portion of the event will kick off around 7:00 p.m., where anticipation will be high for the arrival of Santa and Mrs. Claus BY TRAIN! Come out to the Amtrak station, located at 535 N. Owensby Street in La Plata. Before their arrival, everyone is encourage to come and listen to the reading of some Christmas stories from local storyteller, Mary Meyer and see the NEMO Model Railroad Associations operating model railroad. If the train is on-time, Santa will arrive at 7:51 p.m (please note Santa’s train comes from Chicago and may end up being delayed – updates will be given from the caretaker at the La Plata Amtrak station). 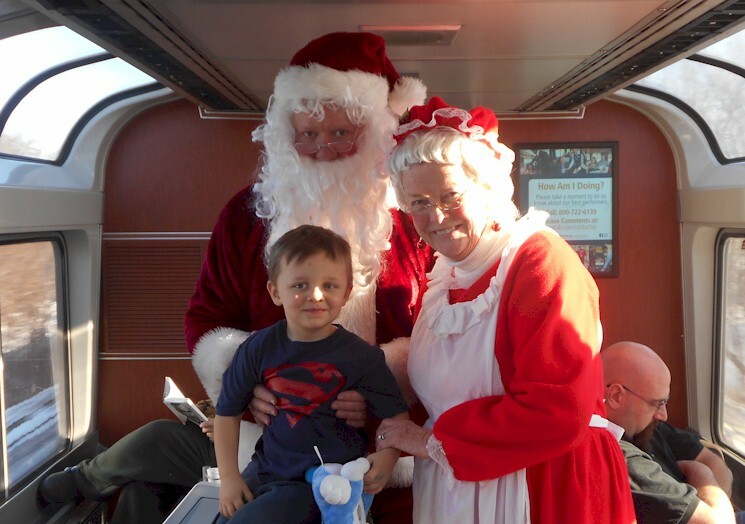 After the arrival of Train #3, all guests will have the chance to visit with Santa and Mrs. Claus… so, make sure you bring your Christmas lists!! 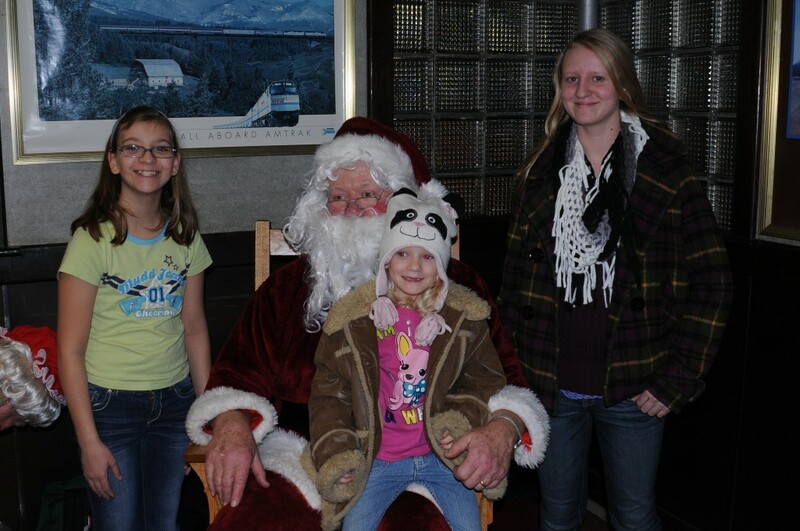 Visiting with Santa will take place in the main lobby of the La Plata Amtrak station. Don’t forget to bring your cameras too for that perfect portrait with our jolly visitor from the North Pole. 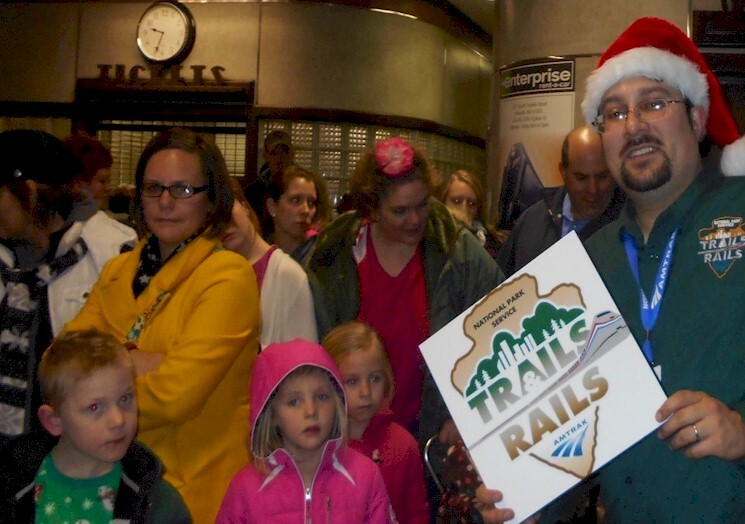 While you wait in line — Trails & Rails Chicago Coordinators Robert and Kandace Tabern will be staffing a table at the station where guests will have the chance to learn more about the Trails & Rails program that operates out of La Plata from May to September and during the November and December peak holiday travel seasons. Representatives from the American Passenger Rail Heritage Foundation will also be on-hand, selling a train-themed children activities books ($10.00) and a railroad route guide for the train between Chicago and La Plata, Missouri ($25.00). Both would make a great Christmas gift — and all proceeds go 100% to the upkeep of the depot, equipment needs for the Trails & Rails program, or other important projects the American Passenger Rail Heritage Foundation takes on around La Plata every year. 1 Comment on "All Aboard to See Santa Event – December 9 at 7:30PM"
Wow, you guys think of everything. 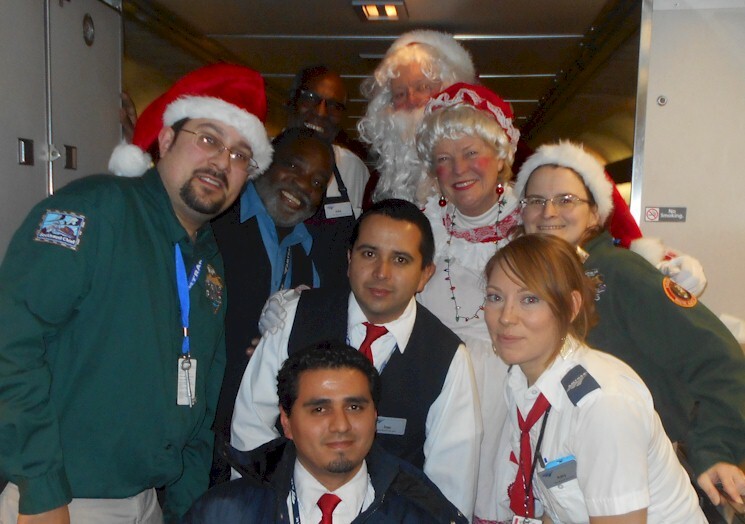 Guess the best way for Santa Claus, and Mrs. Claus, to get to La Plata and Chicago is by the Amtrak Southwest Chief. Great report and photos. Merry Christmas to the Claus, Tabern, and Cox families! Ho Ho Ho, Mo.